Before anyone falls of their chair. Yes, BlackBerry OS 10 does have Android app support. It runs them pretty well and Google Play store also works. BlackBerry OS 10 is simply everything that Android is and isn’t! It runs its own native apps and Android apps side by side. But that’s not all! So, in this article I will give you a fabulous introduction to this fantastic mobile operating system that puts security as it’s first priority. If you are a person tired of lagging Android screens and a iOS phones that isn’t supported by Apple anymore. Then BlackBerry OS 10 is for sure a nice choice to choose. Just notice that when choosing BlackBerry OS 10 you will need to sacrifice things, but overal you will feel so much better. This mobile operating system does really care for YOU and it shows regarding it’s secure levels. You as a mobile user feel really amazing as you as the user have real control of how much other companies should know about you. It is not just the apps, but the operating system also. I would say that there is no other mobile operating system except for SailfishOS from Jolla that feels and is more secure. Yes! On BlackBerry OS 10 you can choose to install Android services or not. So, it is totally up to you if you want Google to track your usage or not. Now thats a refreshing knowledge these days. I think so! 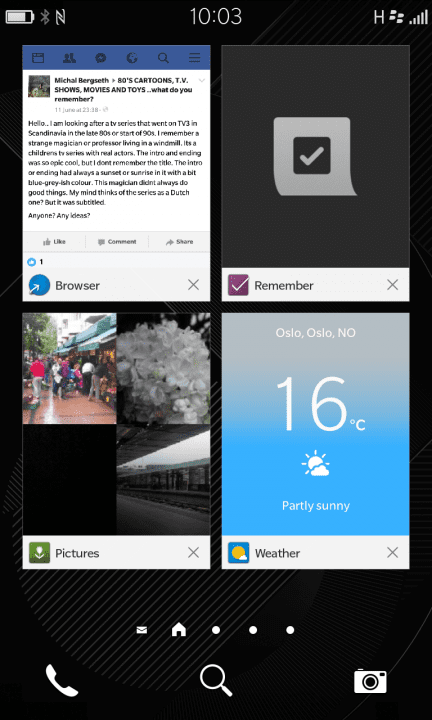 The biggest difference between BlackBerry OS 10 and the others is it’s multitasking system. It is just brilliant at running several programs at once and it does it in a way that no other operating system does at all! There is absolutely no lag when using several programs and the phone functions isn’t dragged down like on Android if you have too many resources active. All of my Android devices gets slower and slower week by week until you fabrick reset it and then the same procedure happens. It doesnt matter if youve got the hottest Samsung or Sony mobile. It is the same issues that in the makes you want to throw that Android phone to the ground or wall! Android apps works nicely on BlackBerry OS 10 in general. But not every app that is downloaded by using Google Play store will work. For me, I got several messages that I have too old Android version installed. The operating system comes with two different stores. One with only BlackBerry OS 10 native apps and Amazon Store with Android apps. To install Google Play on your BlackBerry OS 10 device, you should follow this guide on-line. Download all of the tools you need and then start to activate the extra Google services on your phone which is needed. This also gives you a basic Android settings possibility. While BlackBerry OS 10 is really good at multitasking. Be aware that when running several apps at once, then the phone uses more power. However, this also depends on how big these apps you are running. 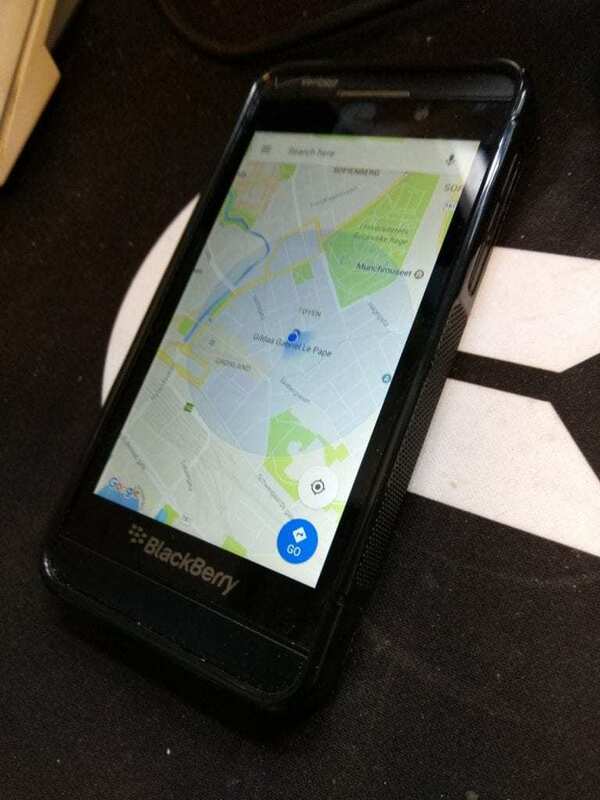 Our device, the BlackBerry Z10 test device have a noticeable shorter lifetime if used several programs at once for a longer period, but thats when running Android apps for the most. If you run BlackBerry OS 10 native apps, it keep going on for a longer time. Why this is the case is still a mystery forme. 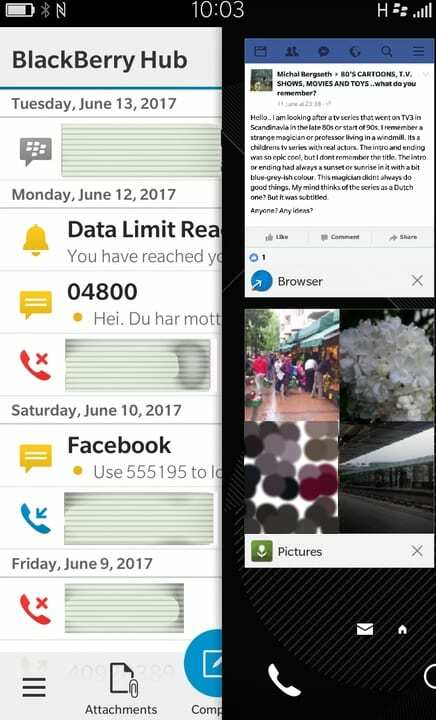 However, when the apps on BlackBerry OS 10 is shrinked down to just showing the basic info in the Multitasking area of the phone. Then we noticed less power usage. But the speed of the phone never fails. Which is fantastic! In the settings, you can adjust the notifications settings to be turned off. However, if turned on. Now this is where BlackBerry OS 10 shines. With notifications on. You don’t need to open your phone fully anymore, as all of the latest history will be displayed on the lock screen. BlackBerry OS 10, got some of the best notification systems available for any mobile operating system. There are some Android lockscreens that is near, but this is perfection! With this notification system for the lock screen and BlackBerry Hub. You know exactly whats happening all the time and the BlackBerry Hub gives you a complete history of what you have been doing. With this function, it is really easy to remember what you have been doing. BlackBerry Hub shows you who called you, who you called, who you messaged, what app you installed, if you got a message in Line or in BlackBerry Messenger etc. You also getting notified about Data Limit and other functions. Fantastic thing that BlackBerry OS 10 seems to nail at totally! It must be said. BlackBerry OS 10 isn’t used by so many and because of this the OS lacks the same amount of development and support as Android or iOS. But for those native apps that comes with the operating system. They are better than expected. The main text messaging functions is great and it is fast to type and have a historical view. Browser app for BlackBerry OS 10 is a very good web-browser! 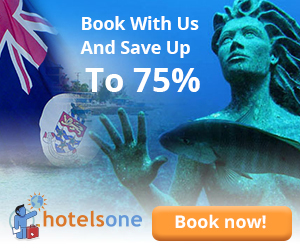 You can browse most of the sites on the web, check your mails at Google or simply use Facebook for mobiles version. There is a Facebook app that comes with BlackBerry OS 10, but the only function of it is to open the mobile version of the website in the Browser app. Another great app is Reminder that comes as standard. This app lets you set up tasks for the day. It is really nice to use and very easy to use. Pictures is a nice app that shows you lots of images nicely. This app also got effects and crop possibilities as standard which is very handy. You can share the pictures with all app that supports it. So, either its Bluetooth, BlackBerry Messenger, BlackBerry Messenger Group, BlackBerry Messenger Channel, Text Messenger, Meeting Participants, NFC, Remember or Evernote. You can share the picture or video with these services. Also if you have Android apps like LINE or Viber. You can share them thru these apps. I haven’t tried out Facebook app for Android though. Calendar app is also nice. You have full view of the months, weeks and days there. Then there is this BlackBerry Blend to sync with your computer, but I haven’t tested it yet. The Maps app however is a bit outdated. So if you want a nice map app, you can install Google Maps. I’ve tested it and it works. It even can track me pretty well. Camera app is very simple and yet very powerfull. Why can’t every camera app just be like this one? You won’t need to search forums or ask about where is the video button, because its already there. The app is also very responsive to your actions. There is no lags, which is a stress relief. You can also start the Camera app from the Lock screen which is handy. And like with the Pictures app, you can share to the same services. A neat function of BlackBerry OS 10 does have for all apps that have share support is that when you use Bluetooth for sending files. The information about sending information sits on top of the app you are using. So you can always go back to that app for checking the transfer. For me its more control than just sending information in a roll down menu that doesn’t tell you anything more than it is sending a file. With BlackBerry OS 10 you always knows whats happening. Also when you put the phone on Hot Spot WI-FI mode and connect a laptop or another mobile to it. You will always see information about how much data have been transfered. This is very handy! Also, if you want even more security than before. You can encrypt your personal data which BlackBerry is known for. You can also secure your home screen even more if you wish. BlackBerry have always ensured that their devices is yours and not theirs. Meaning that you will be able to feel pretty secure. The notification settings can be set. But not just that gives less stress. The fact that Facebook Messenger doesn’t work on this device. Means that it’s bubble feature wont show up. The mobile website is more than enough. Facebook is still kind enough to let you use that version fully on a BlackBerry OS 10 device. The Browser app on BlackBerry OS 10 saves every mobile phone that is using this mobile operating system. It’s fast also. In the near future, I hope to give you a installation guide. The process isn’t difficult, but it’s nice to know stuff. If you want to be part of the support for this operating system then you should contact CrackBerry Team, which is excellent at writing and doing guides on YouTube etc. 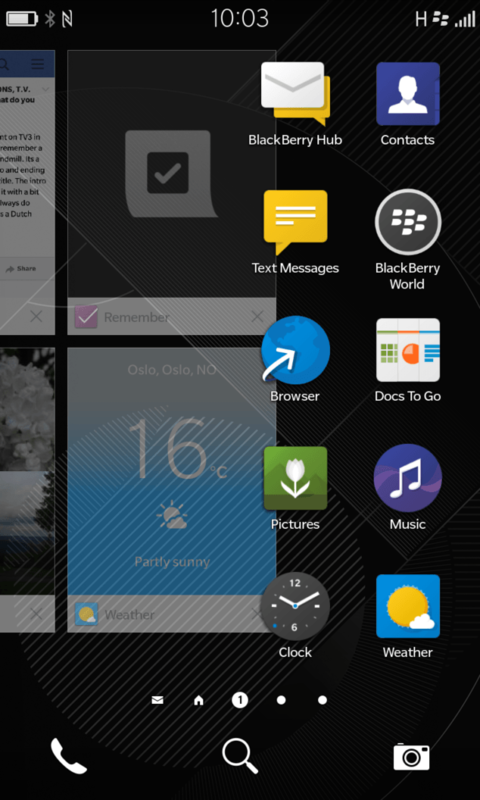 This is our first BlackBerry OS 10 article. We will continue doing so from today on! It is an incredible interesting operating system, with the latest version got released now in April 2017. 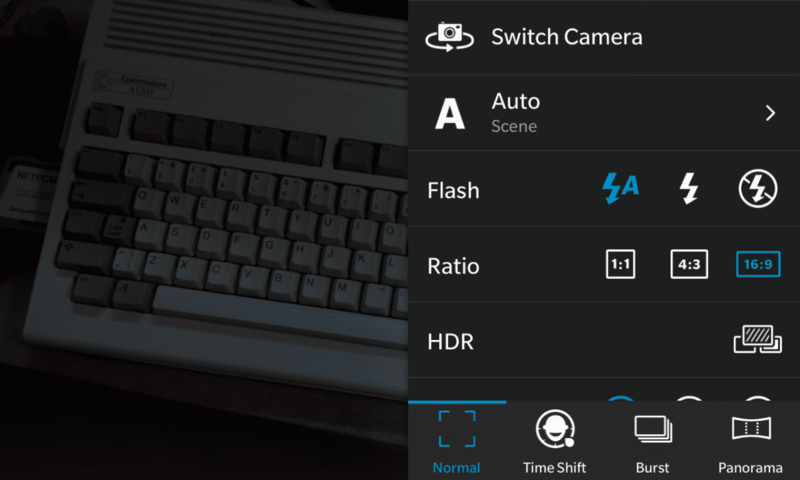 The camera app is very simple to use and it’s a layout that every camera app should have. Also, it just works without any lags that can happen on Android devices if too many processes runs at the same time. If you are tired of Android lagg or that your iOS device have been abandoned by Apple. Then BlackBerry OS 10 is for sure a nice try. If you are used to use lots of tracking apps or used to Android or iOS way of doing things. Then BlackBerry OS 10 can be a bit difficult to understand at start. But once you figure out all of its functions and features. You will love BlackBerry OS 10. If only the owners and th developers behind this incredible fast and brilliant multitasking OS promoted it more. Because this operating system deserves to be much more noticed. Because we at Distrita believes that there is more room for more mobile operating systems than just Android and iOS. This is certainly one that with some extra push would for sure be a serious competitor. So, if you want a phone without lagging issues. Then go for a BlackBerry OS 10 compatible phone or tablet today! You will love it! For me, I needed all these weeks to come up with a conclusion. I have been a beta-tester for many apps and I’ve tested a lot on my test phone. I am also certain that I will learn even more in the days ahead also.